Former Chief Justice of the Florida Supreme Court Rosemary Barkett is leaving the United States federal appeals bench to join the Iran-U.S. Claims Tribunal, based in The Hague. 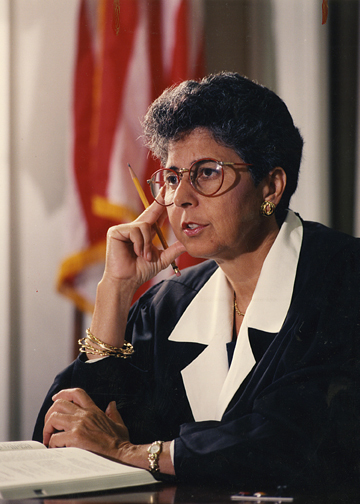 Judge Barkett, who was born in Mexico and previously served as a Catholic nun in the Sisters of St. Joseph, became the first woman Florida Supreme Court justice in 1985. She was also the first female chief justice, from 1992 to 1994. She was appointed as federal judge of the 11th Circuit by President Bill Clinton and took the bench in April 1994. Hi, Cymie – the blurb from the International Center is a bit misleading as Judge Barkett will be replacing Judge MacDonald. Just wanted to clarify; thanks!